Fox Rent A Car was started in 1989, and has been in the hands of the original founders ever since. Apart from offering car hire to people who want the use of a vehicle for a few weeks, the company is based at various major airports across America. This makes it easy for travellers to hire a car, no matter where they are visiting. The company started with the idea of providing a more affordable car hire service to those who were landing at the airports across the USA. Today, it enjoys the loyalty of a large fan base, and continues to provide value for money. The company specialises in renting cars to those who are in need when travelling, but they also have a very popular rewards scheme available. If you regularly travel and often hire a car when you do so, it is worth looking into the scheme and earning some points each time you rent a car. Even if you don’t travel very often, it’s a good idea to collect points and then see if any discounts are available when you book next, whether it’s the next month or in a few years. 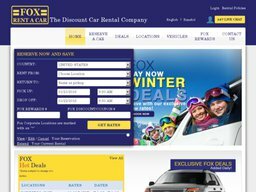 There is almost no limit to the type of cars and vehicles which are available for hire from Fox Rent A Car. From smaller cars suitable for couples and small families to people carriers large enough for twelve, there’s something for everyone. 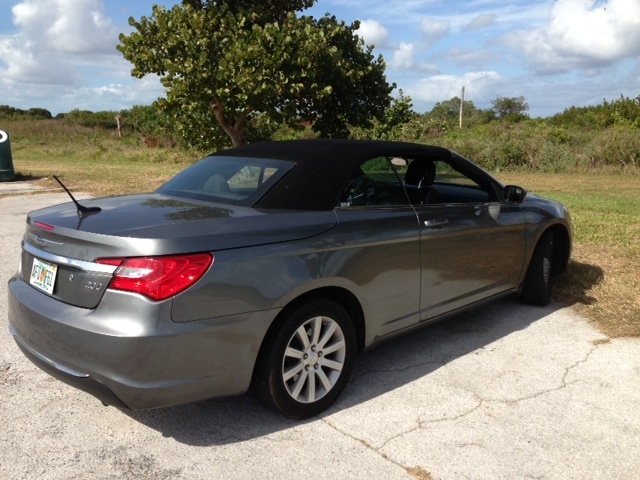 If you want to feel the summer heat as you drive, why not look at the convertibles which are on offer from certain airports? The Fox Pay Now Program is very popular with customers, since it gives them a cheaper rate on the hire of the car. However, if you wish to pay later, you can make a deposit via the website and pay the remaining cost later. Most payments are made via credit and debit card, including Visa, Mastercard, Discover and American Express. You can also pay with cash at many facilities if you arrive in person to make a reservation. The website uses a very simple search function where you choose your country and location, and the pick up and drop off date you want to rent the vehicle between, and it will return all of your available options. You will pick the vehicle up from the nearest facility to you chosen location, and can either return it to the same place or opt for another facility. Reservations can be cancelled at any time and they do not charge a cancellation fee, however they advise you not to leave it until the last minute. You can choose to take out optional insurance with your reservation to cover you in the case of an accident or breakdown, and there is a simple claims form to fill out on the website if such an occurrence takes place. There is also 24.7 roadside assistance should your vehicle breakdown unexpectedly. Simply call (877 )936-9349 and somebody will be sent out right away. @lv_teacher Thank you for contacting us, I am very sorry to hear that. Please advise your reservation number so I can better assist you. @ChaiMC130 Som, please DM your rental agreement number so I can better assist your concerns. @craig_dolan Craig, I am very sorry to hear that. Please DM your rental agreement number so I can better assist you.